Are you looking for teaching materials to help students learn about truth and reconciliation between Indigenous peoples and Canadians? 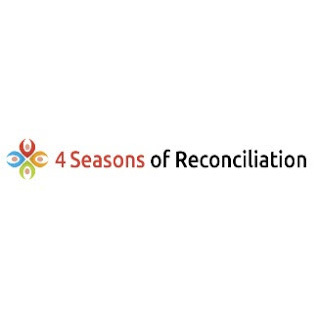 4 Seasons of Reconciliation is a multi-media initiative that promotes a renewed relationship through transformative multi-media learning. The materials include a 3-hour in-class unit and a 2-hour online component using teacher guides, presentations, readings, instructional videos, class discussions topics, quizzes, and the film 3rd World Canada. Professional development materials are also available. With a focus on truth, reconciliation, and restitution, 4 Seasons of Reconciliation could complement the University of Alberta’s Massive Open Online Course NS 201 Indigenous Canada course. The curriculum materials are inspired by the Reconciliation Certificate at First Nations University of Canada. An Indigenous Advisory Circle, composed of partners ranging from Canada’s long-established Indigenous-controlled post-secondary institutions, Indigenous Elders, knowledge-keepers, and specialized educators, participate in key executive decisions for the teaching materials. Collaborators include Indigenous Education, Aboriginal Healing Foundation, and the Legacy of Hope Foundation. Printing, copying, and displaying unit materials including maps, readings, and presentations.